We have a couple of frozen chickens in our freezer, and I’ve been wanting to roast them but haven’t wanted to spend all day near the kitchen. 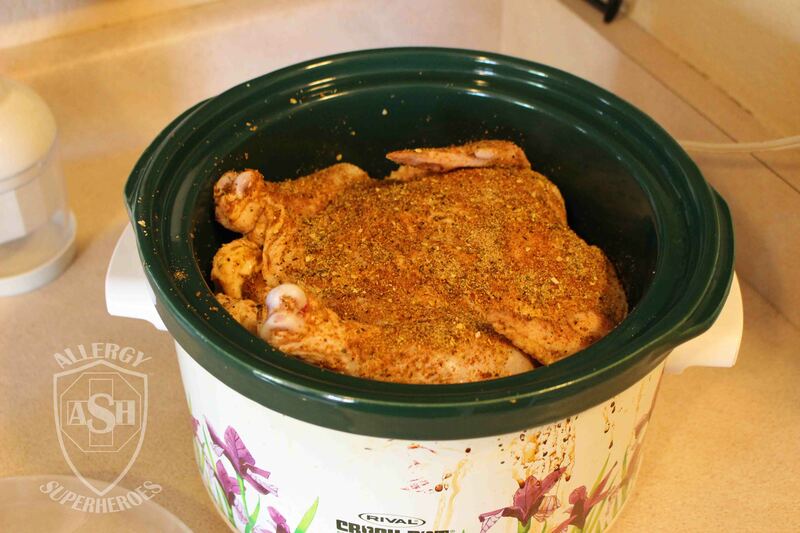 I then wondered whether it was possible to roast a chicken in the crockpot? A quick consulation with google informed me that yes, it was possible, so I decided to give it a whirl. 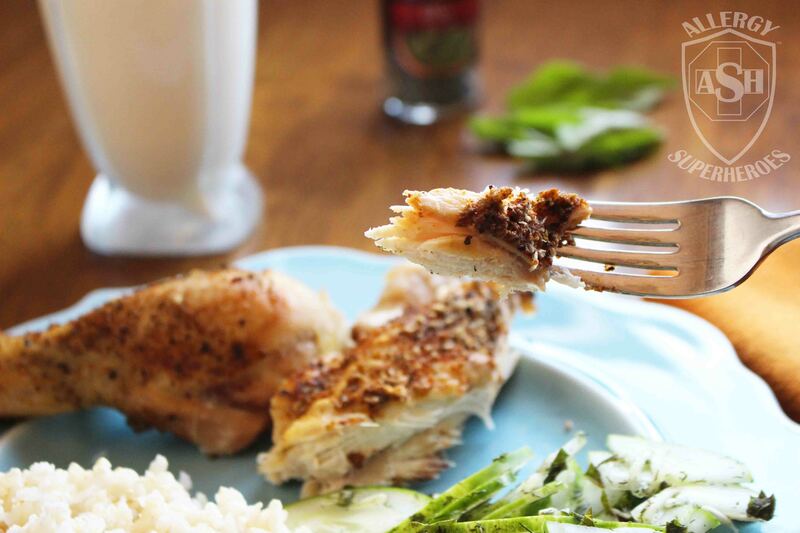 If you’d like a delicious, fall-off-the-bone-tender, succulent chicken dinner with minimal work, this is a great technique! Try it and a perfect chicken will be waiting for you when you get home from work–and your house will smell delicious, too! 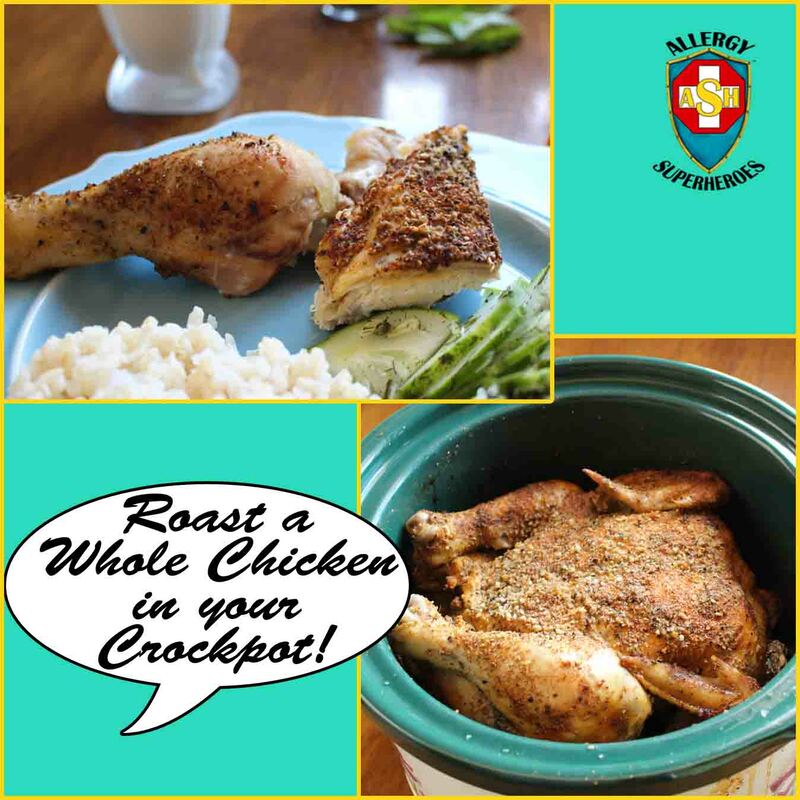 Get a delicious, home-cooked chicken without the work! It's the perfect meal to come home to on a chilly day! 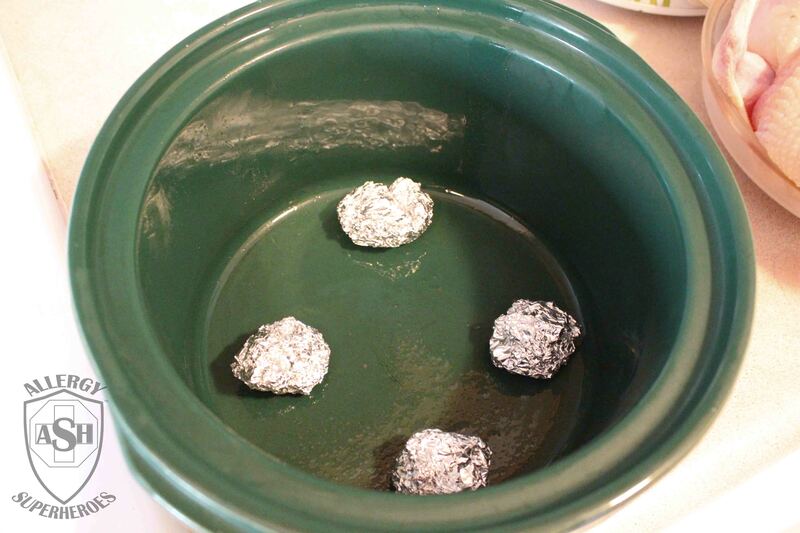 Place four wadded-up balls of aluminum foil in the bottom of your crockpot. Remove the neck and giblets from your chicken, rinse it, and pat dry. Cover and cook on low all day. If you're a little shorter on time, cook for 2 hours on high and then reduce heat to low for remaining cook time. A half hour before serving, siphon out the juice with a turkey baster and keep cooking. You could even leave the lid off for this last half-hour. Save your juice for a soup base, it's delicious! Free from peanut, tree nut, egg, dairy, soy, wheat/gluten, fish, shellfish, corn, and seeds! The foil balls don’t need to be big, you just want to elevate the chicken a little, so the bottom doesn’t get too soggy. You could use large chunks of potato or another thick vegetable as well. See, it fits! Even in my old 4 quart machine. This is still raw, coated in my dry rub and ready to make my house smell delicious! 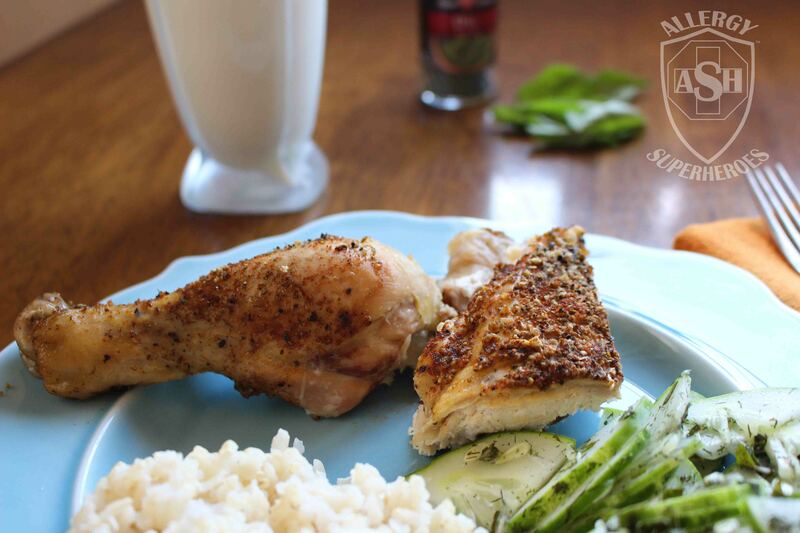 The resulting chicken is fall-off-the-bone tender and oh, so delicious! Would you like to come over for dinner? This makes a meal big enough to share! And don’t forget to save the juice you pulled out, it will make a delicious soup base for another day! ← Previous Previous post: Happy Teal Halloween!